Hi everyone! It’s Jessica, the CIR in Miyazu. 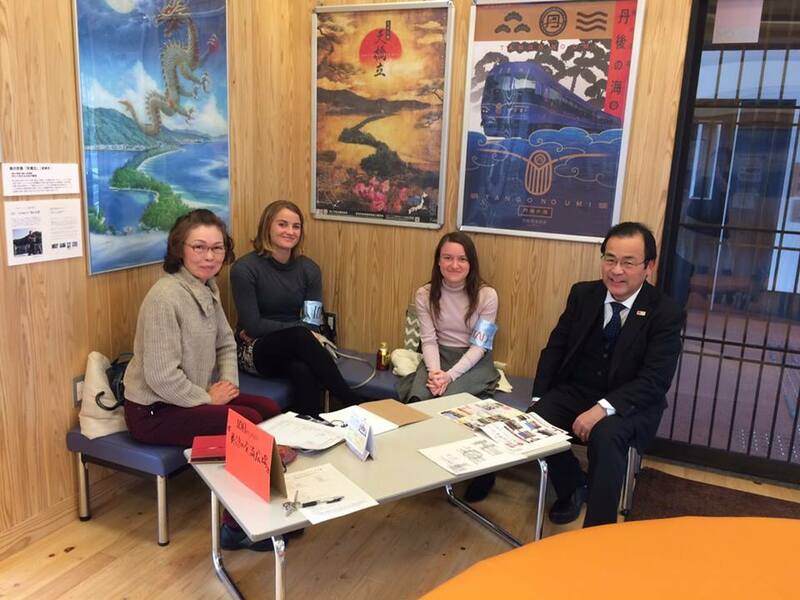 Starting in January, we started a new English conversation group called “Miyazu English Corner” in Miyazu. We host it every Wednesday through Friday and Sundays 2-4 pm. Starting in April we are planning to cancel Sundays. People of the community interested in English who are available between the hours of 2-4 come and try their bests to have simple English conversations with a native speaker. Miyazu’s ALTs also participate when their schedules allow. Since the group is held in the afternoon participants consist mainly of housewives and elderly retired people. Levels range from people who can have somewhat smooth daily conversations to people who have trouble introducing themselves. My future goals are to start new activities focused on conveying culture rather than teaching English. Starting next month in March I will be giving lectures once a month about American culture. I always want to work to further establish the duties of the CIR position in Miyazu and try to make it separate from those of the ALTs which I have yet been able to do. I also want to be more conscientious in leaving data and records for the next CIR. New year greetings from the CIRs have been late this year because we all have been pretty busy! We are going to upload a series of articles from each CIR of Kyoto Prefecture, introducing what they’ve been up to and what they want to achieve for 2016. Look forward to it! Hello hello everyone! It’s Michelle again from Kameoka. It’s been just over half a year since I first assumed my position as a CIR in Kameoka. There have been many ups and downs but it has been a wonderful, fulfilling experience so far! Within a short span of half a year, I went on a business trip that took me back to North America, got my feet wet (if not thoroughly drenched) with translation and interpretation at major events like sister city anniversary celebrations and Kameoka’s 60th Anniversary, did write-ups, translated and designed monthly and quarterly newsletters, as well as planned, implemented and facilitated international exchange events. 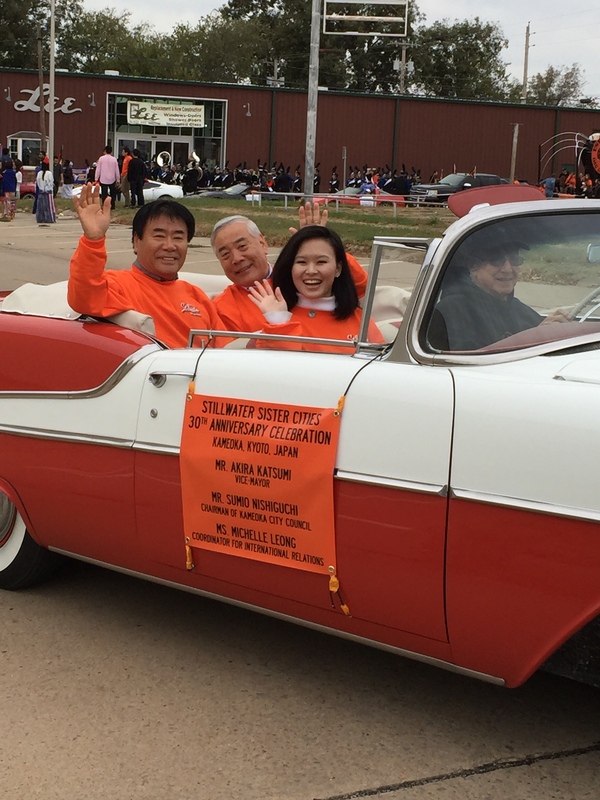 The most interesting and nerve-wracking experience for me during the past few months was the business trip to Stillwater, USA in commemoration of the 30th Sister City Anniversary between Stillwater and Kameoka. Not only was it my first business trip but it was also the first time where I had to heavily translate from English to Japanese. The fact that I was only 2 months into the job definitely did not help my nerves either. Despite the million and one anxieties, I was ultimately glad to have gone. 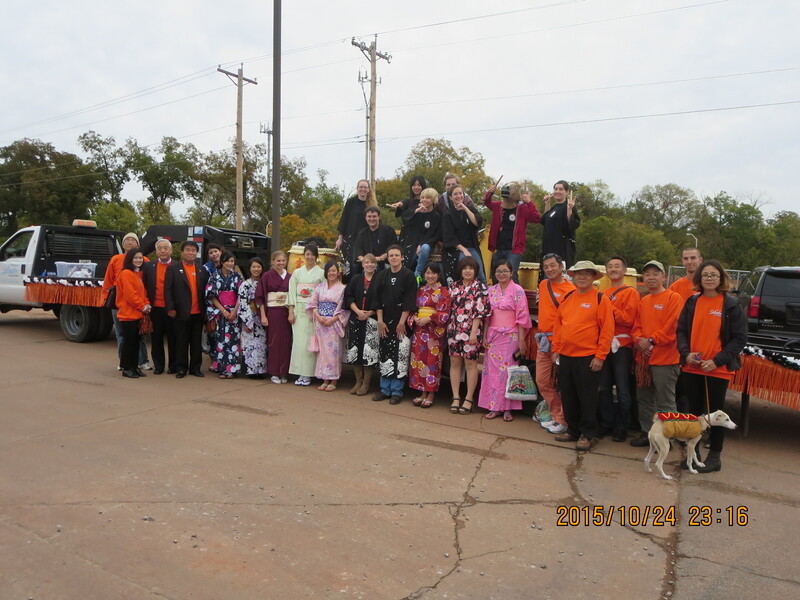 The rest of the Kameoka official delegation and the people in Stillwater were considerate of my position which made the interpretation experience smoother than expected. The warm hospitality and welcome from the people of Stillwater left me with fond memories and new additions to my extended “family” network. It has been immensely challenging so far and I constantly thank my lucky stars to be blessed with such a variety of experiences. Not only did I acquire and honed more than a handful of skills, I also gained a deeper understanding of myself. In fact, I realized that I tend to try and take on too much within too short a time. As such, my overall new year’s resolution, on both work and personal level, is to pace myself and really look before I leap. It is all about making meaningful baby steps!